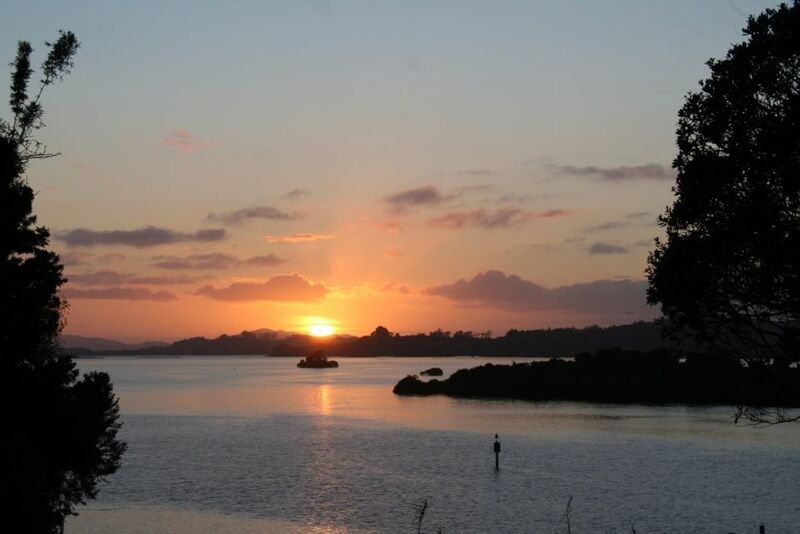 The Kerikeri inlet is at the bottom of the garden,views across the inlet and out into the bay of islands. Our fantastic place is just 50 meters from a quaint little wharf and boat ramp, nearby the reserve and tennis court. located just about 10 minutes from Kerikeri township and even less to Doves bay marina. Great place to center while you explore all northland has to offer,or just kick back and relax. There is also a pool attached to the owners accommodation that you may use. Property has water as a boundary please be aware of this when booking with children. The Mooring is directly in front of property and is licensed for up to a 8.8 metre boat. The property was exactly as we had expected it to be - clean, tidy, everything one needed - but the location exceeded expectations. This is a very beautiful and restful part of the world! We had a couple of nights there. The outlook was lovely and Arole and John were very helpful and welcoming on our arrival. It was a tranquil place to stay for a day or two. John and Carole could not have been more helpful. The property has a wonderful aspect, it is very comfortable and spacious and we recommend it highly. Lovely place to stay - location peaceful yet close to Keri Keri and local sight seeing. Well equipped with everything you might need. Carole and John really welcoming and helpful with ideas of where to visit. A must-do is the Saturday market in Keri Keri - plan to spend 2-3 hours and enjoy the atmosphere & food! We spent seven nights at Carole & John's piece of paradise on the Kerikeri inlet. They were perfect hosts right from the minute we arrived. The two bedroom apartment suited us really well and was perfect for two adults and two teenagers. We were only 10 minutes out of Kerikeri and ideally situated to enjoy the beaches and sights of the Far North. Waking up each morning to the view over the Kerikeri inlet was superb. We'd certainly recommend this piece of paradise to anyone thinking of spending some time in the Far North. Thanks Carole & John. John and Carole were welcoming and helpful when we arrived. The roomy 2 bedroom space was well equipped and super clean which we really appreciated. There were 2 kayaks for our use as well as the use of the family swimming pool which the kids loved. The fantastic location was 14 mins drive from central Keri shops and was 5 mins from Aroha Island Eco sanctuary. Thank you for our lovely stay - we'll be back! Thankyou we really enjoyed having you guys stay.